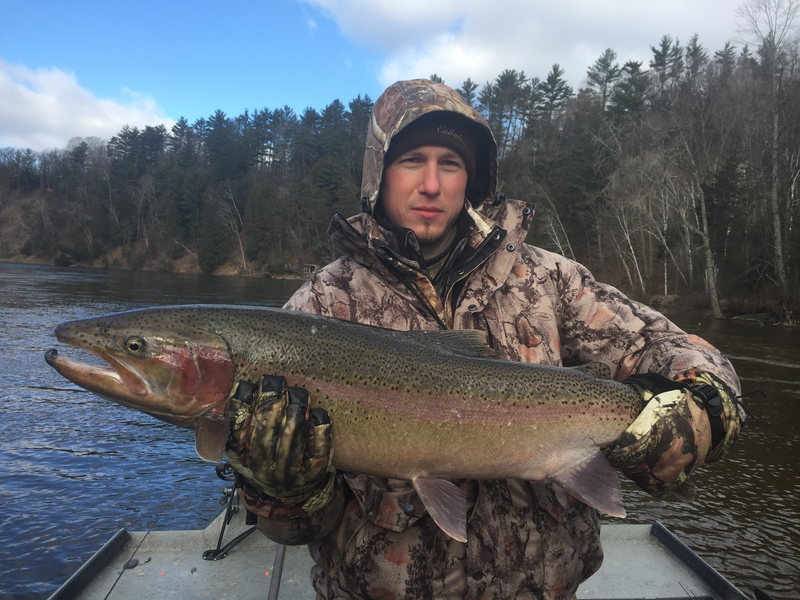 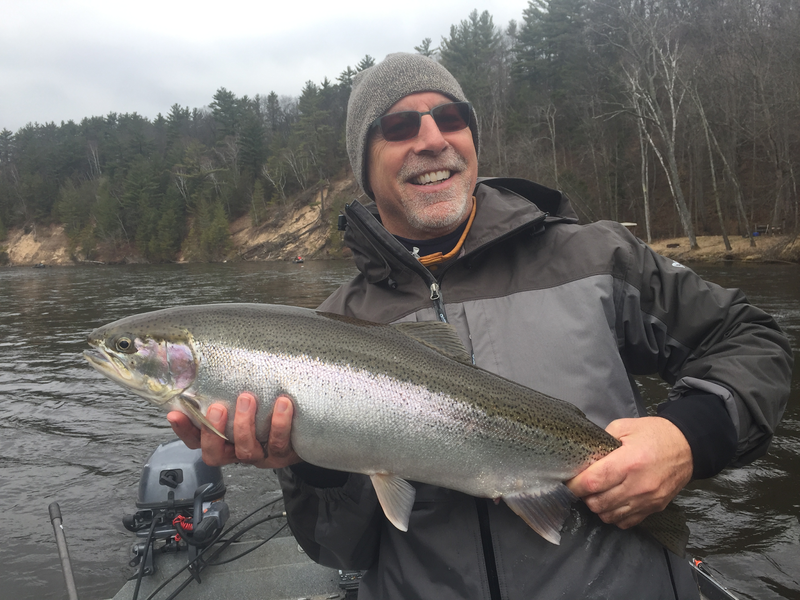 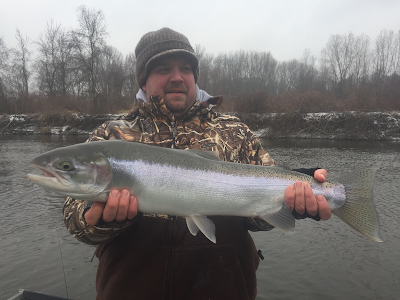 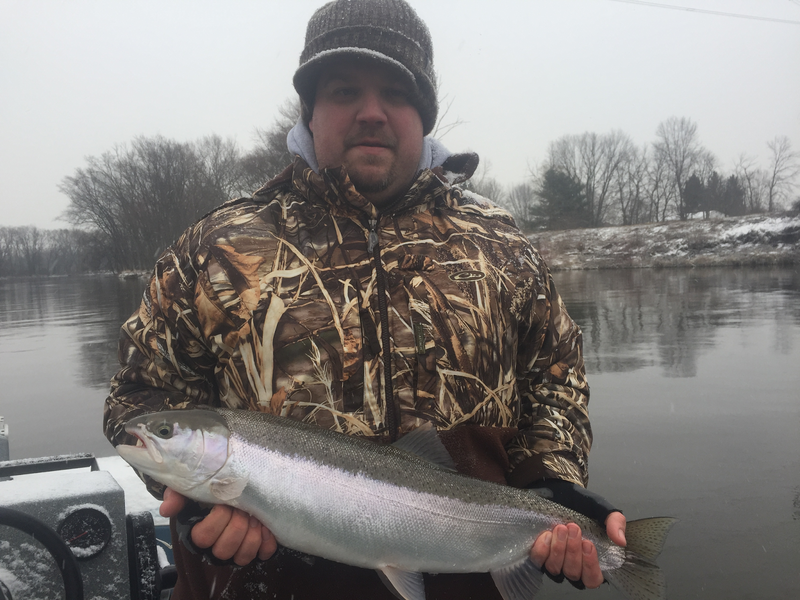 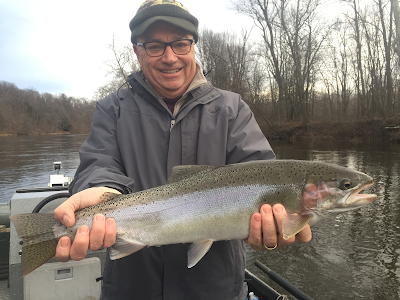 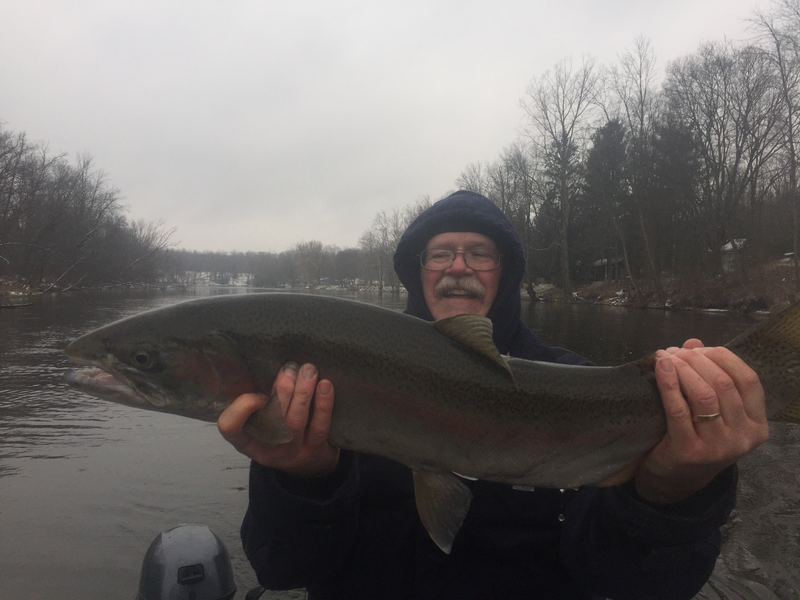 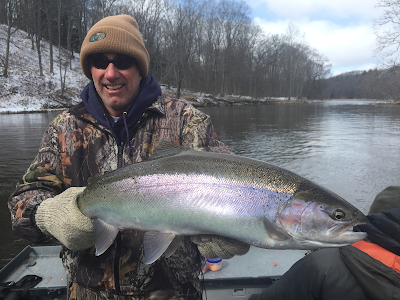 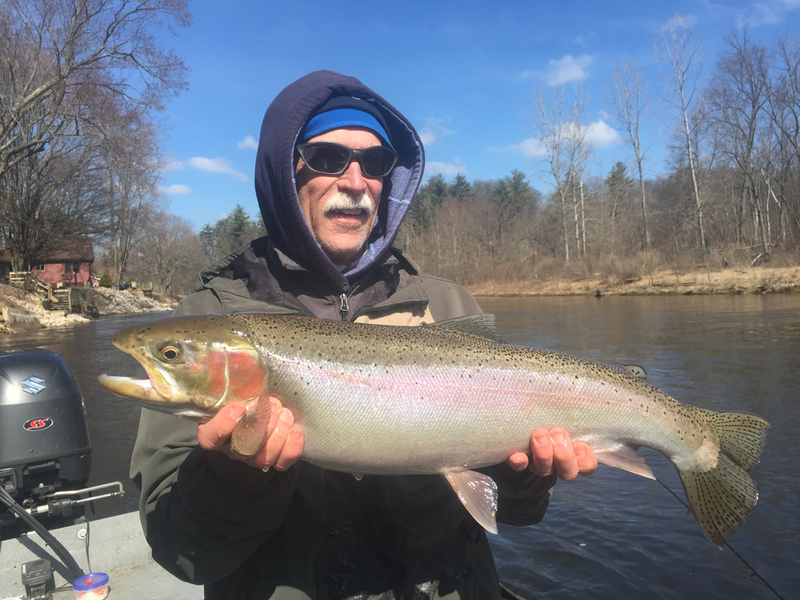 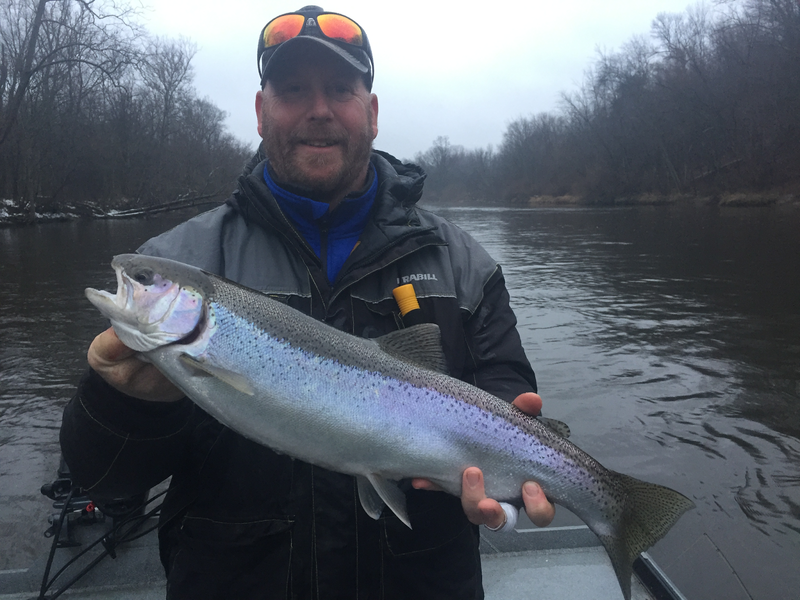 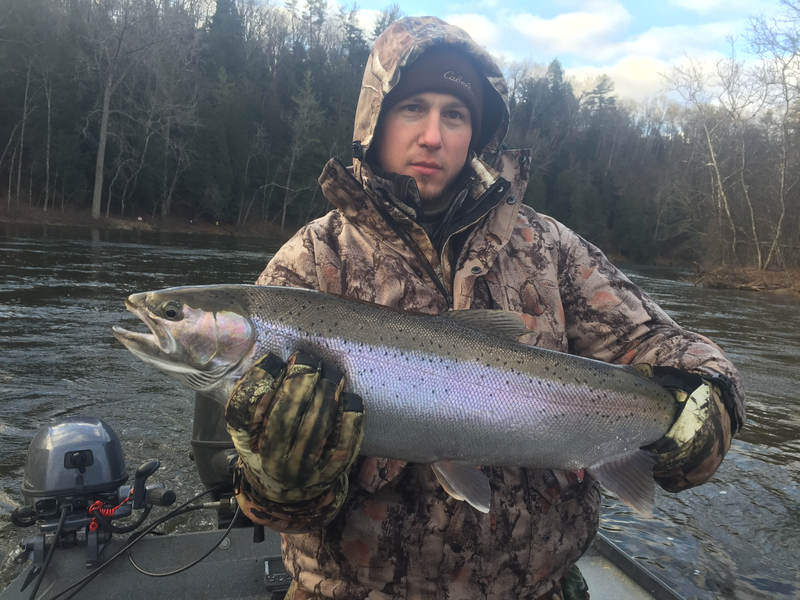 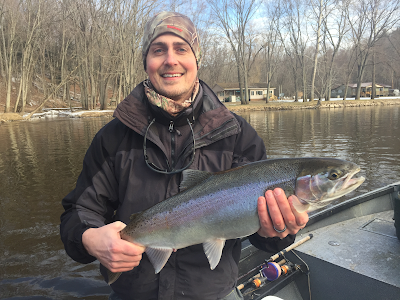 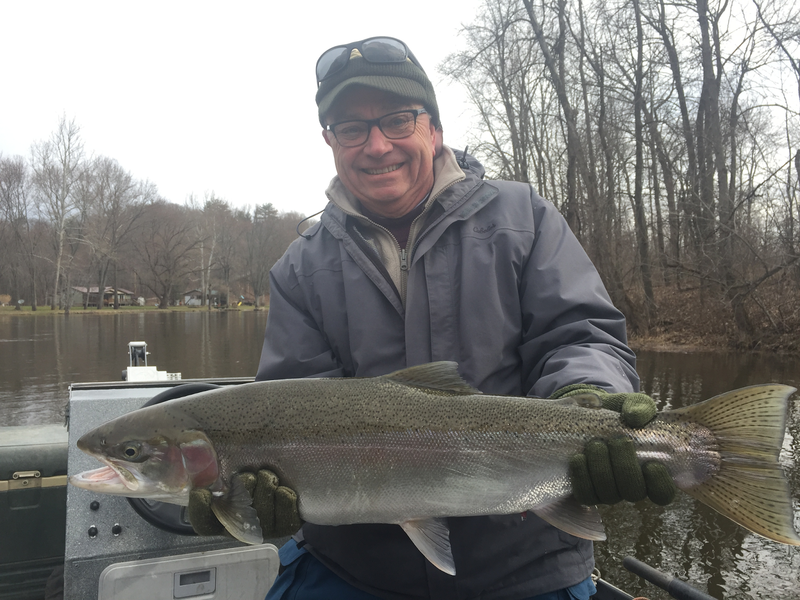 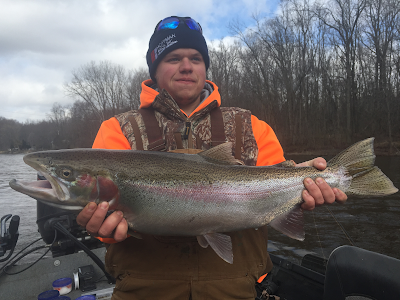 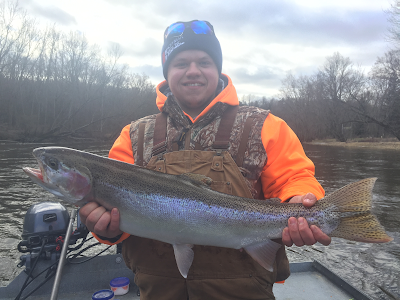 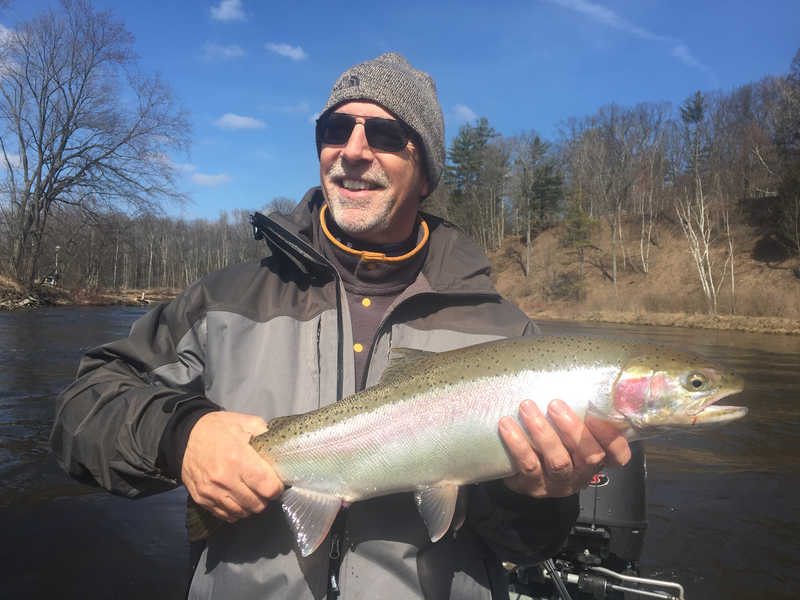 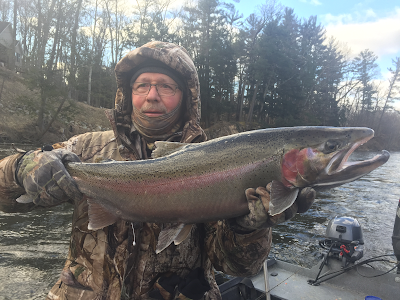 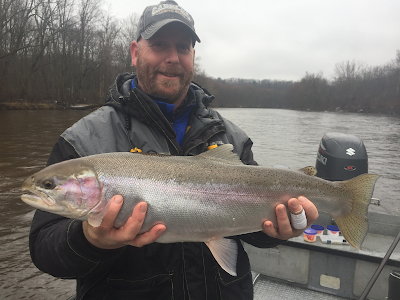 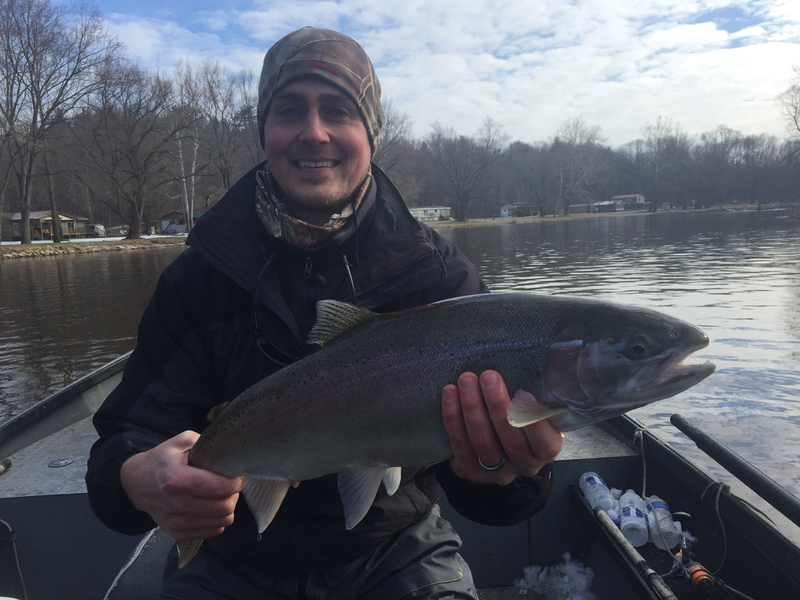 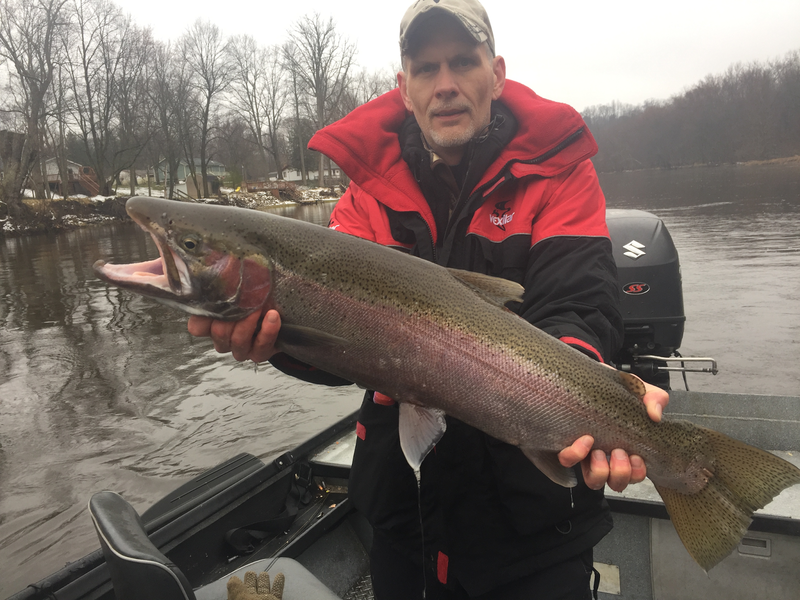 Steelhead fishing has been great for us lately. 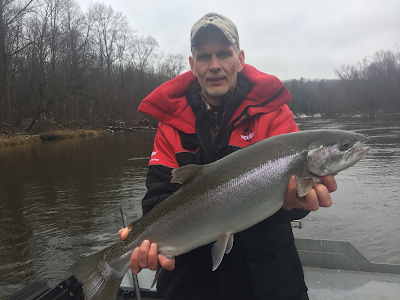 We are seeing a good number of chrome fish showing up and the whole system seems to be fishing well. 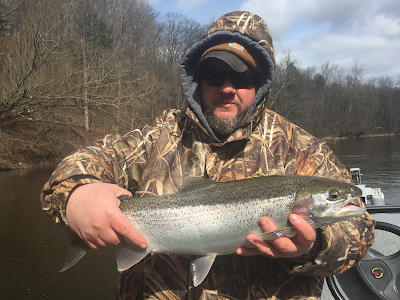 Water level has dropped and temp is around 35. 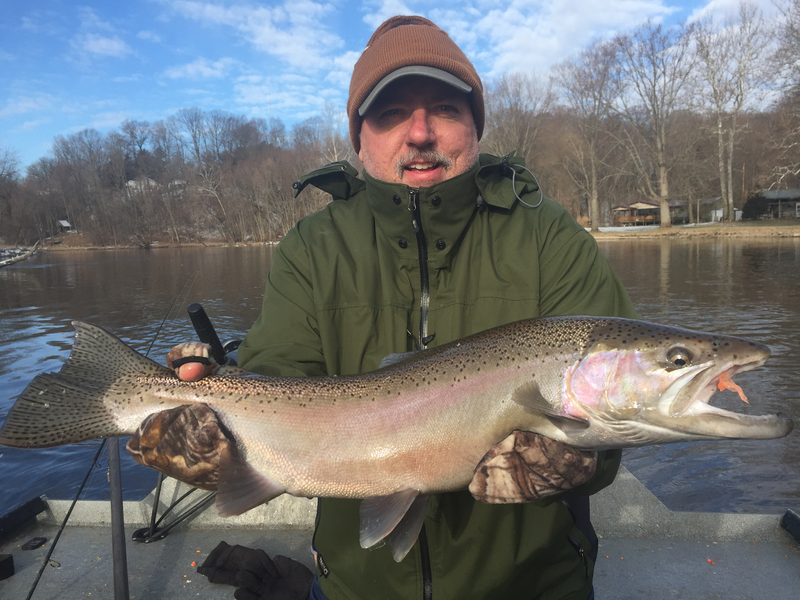 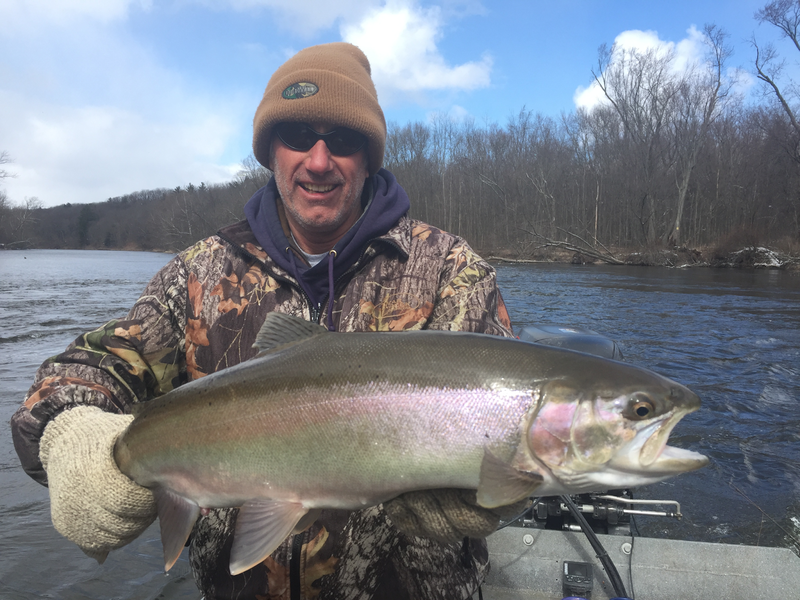 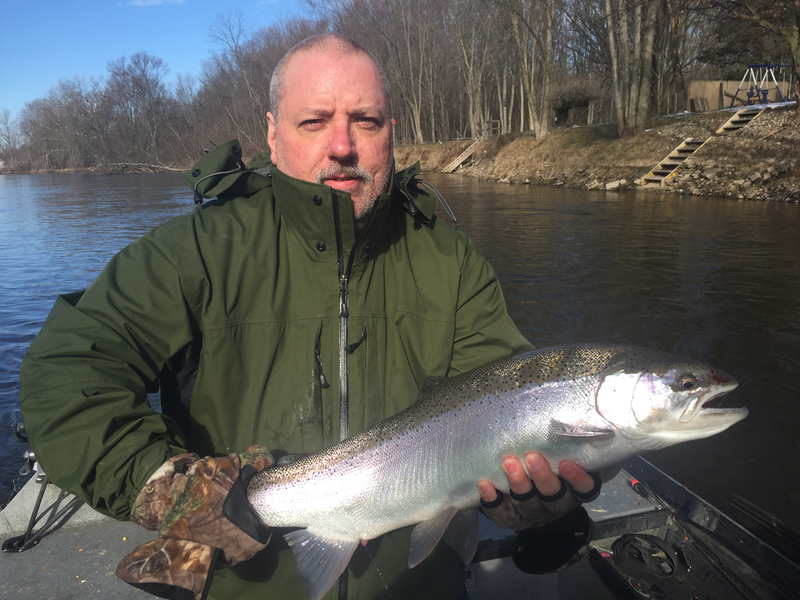 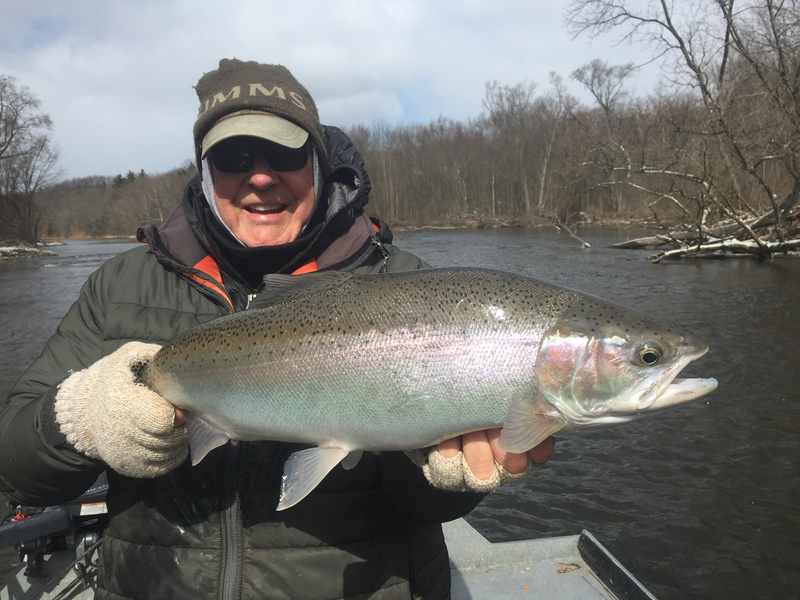 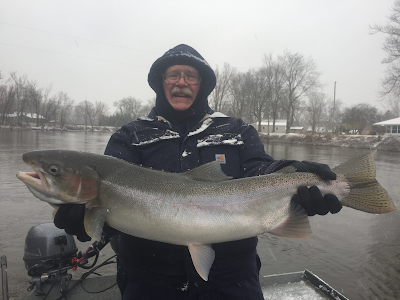 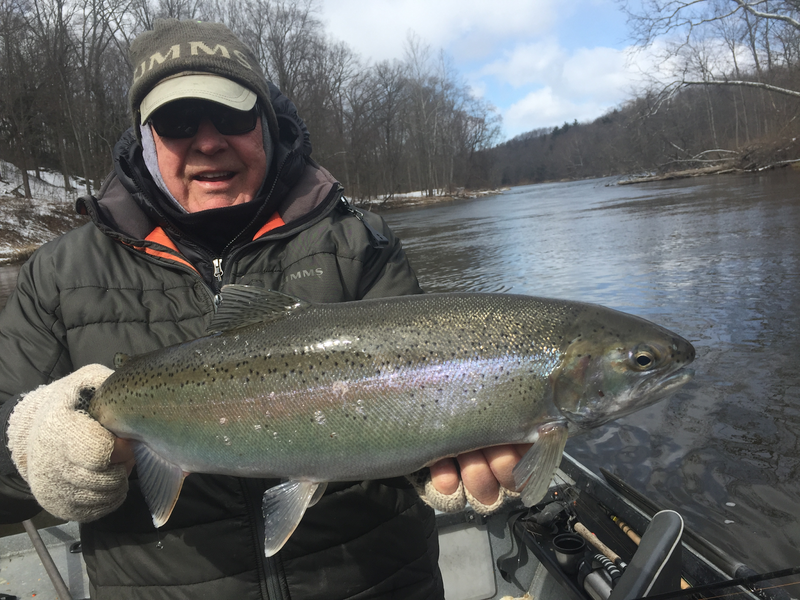 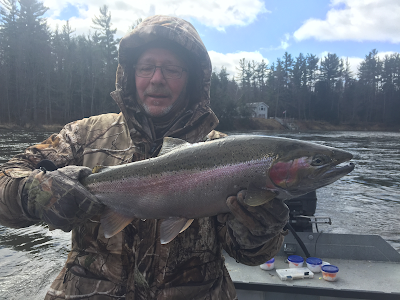 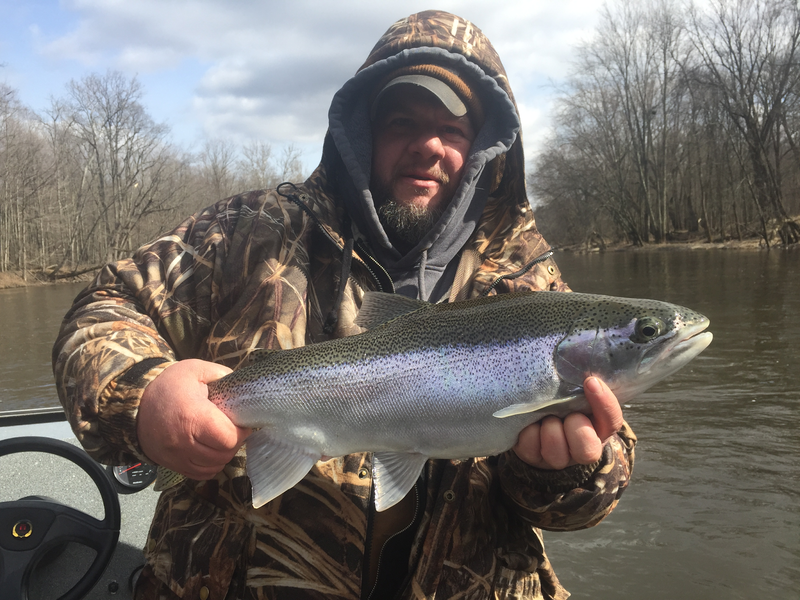 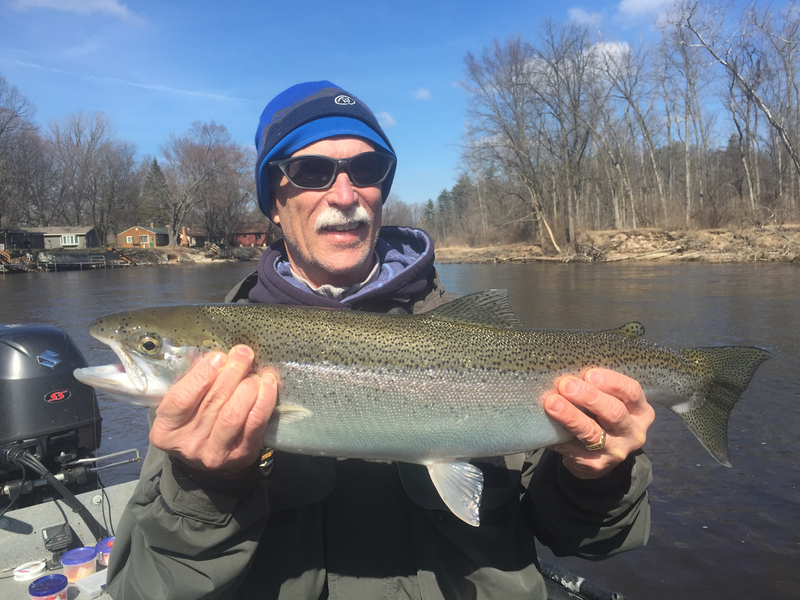 I am down to 1 opening for march and some afternoon half days available in April so if you want to get on some steelhead let me know sooner than later. 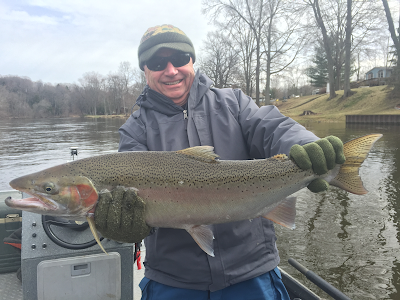 Here are just a couple of the fish we've caught lately.